When it comes to remembering vehicles for their military history, Jeep is usually the one that first jumps to mind. Indeed the Jeep is the most notable and recognizable for its extended use during World War 2, but for heavy-duty jobs, a Jeep couldn’t cut it. The Jeep was needed for its ability to transport soldiers and supplies over extreme terrain for speed, but for more soldiers and more supplies, a truck would be necessary. The Ram Power Wagon was created back in 1945. Soldiers returning from the war wrote to Dodge wondering where they could find trucks for civilian life like the ones they had overseas. In responses to these requests, Dodge put together the first mass-produced four-wheel-drive truck meant for civilians. This trucks was dubbed the Power Wagon. Truck Trend has the rich history associated with the Power Wagon name. It’s been in use since its inception in one way or another. The Power Wagon name was discontinued in 1980 and reintroduced in 2005 and is still available. 2014 is when the Ram Power Wagon was given a redesign. An all-new engine, suspension, and tires keeps the truck still capable of being at its best in a much richer competitive area. 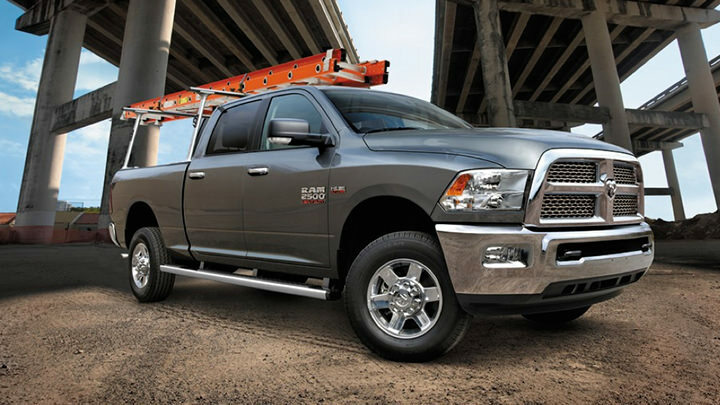 The Ram Power Wagon has been and always will be the truck for drivers looking for added edge both on and off the road. Bayside Chrysler Jeep Dodge offers all the latest new and used trucks in the Ram family. From personal use to commercial needs, we have the right truck for the right job. Visit us online at www.baysidechryslerjeepdodge.net or contact us at 718-229-8700. This entry was posted in Queens Bayside Chrysler Jeep Dodge, Ram, Ram 2500, Ram News and tagged Bayside Chrysler Jeep Dodge, Jeep, memorial day, Power Wagon, Ram, soldiers, Truck, truck news, vets, World War 2 by baysideadmin. Bookmark the permalink.